They’re the lucky ones. 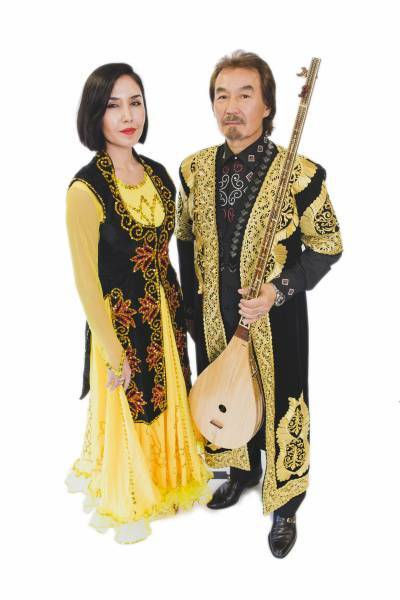 Australia’s Uyghurs are still able to celebrate their ancient culture in music and dance. Their compatriots in China’s north-west Xinjiang province, meanwhile, are ever more widely reported as being arrested without charge, sent to political “re-education” camps, or simply disappearing altogether. Such allegations are denied by Chinese authorities, and yet the Chinese government’s long-held suspicion of the Uyghur (“wee-gur”) minority being latent Islamic separatists seems to have significantly hardened over the last year. Local Uyghurs are loath to ring family members in China – or to speak on the record. Klara Razak and Shorat Tursun. Photo supplied. Against this background a centrepiece of this year’s Sydney Sacred Music Festival assumes greater significance. This is the first Australian performance of the UNESCO-protected Uyghur song cycle Muqam Rak, one of 12 muqams, or scale-based song cycles. Each muqam has its own subject matter, with Muqam Rak evoking a lake, nature more broadly, and Islamic spirituality. The festival’s artistic director, Richard Petkovic, explains that ordinarily such a performance would last two hours, but that, given local audiences’ unfamiliarity with the idiom, an abridged, one-hour version is being presented. Nonetheless he hopes the experience will allow people to immerse themselves in Uyghur culture. Petkovic then realised it was time to show off the singular qualities of Tursun’s own culture via Muqam Raq, and, as he puts it, “raise some sort of mainstream understanding of this emerging community”. Muqam Rak: Riverside Theatre, September 2.